4702 WEST 17TH ST, LA, CA 90019. BUILDING MANAGER TEL. NUMBERS ARE 818-776-0059, 818-922-4286. PLEASE CALL BEFORE IT IS TOO LATE. 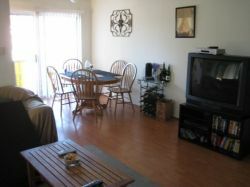 WE ALSO HAVE 2+2 APT AVAILABLE, VACANT. SPECIAL DEAL FOR PEOPLE WHO CAN MOVE QUICKLY, HAVE GOOD CREDIT AND LIKE A UNIT WITH VIEW. DREAM COME TRUE CHANCE FOR A UNIQE HUGE CLEAN SHICK UNIT IN MIDCITY/MIRACLE MILE AREA WITH GREAT VIEWS OF BEVERLY HILLS, MIDCITY, CENTURY CITY AND HOLLYWOOD SIGN. PLEASE HURRY BEFORE IT IS TOO LATE. OPEN HOUSE DAILY WITH APPOINTMNET. YOU WILL NEVER HAVE A CHANCE TO GET THIS UNIT IF YOU DO NOT SEE IT IMMEDIATELY AND IF YOU DO NOT FILL OUT AN APPLICATION, IMMEDIATELY. REMODELED kitchen, big closet, ceiling fan, outside lighting, secure, Near Miracle Mile, VIEW.NO DOGS AND NO CATS. BIRDS AND LIZARD ARE OK..NO EMAILS PLEASE CALL THE MANAGER DIRECTLY,ALL TERMS ARE NEGOTIABLE. CABLE AND INTERNET READY. WE PAY FOR WATER, TRASH AND OUTSIDE LIGHTING. EACH UNIT HAS ITS OWN GAS AND ELECTRICAL METERS.FOR ONE PERSON, YOUR MONTHLY GAS COST IS ABOUT $10 OR HIGHER AND ELECTRICITY ABOUT $35 OR HIGHER, approximately. IT HAS VERY LOW UTILITY COSTS. THE UNIT IS VERY QUIET,HUGE AND CLEAN. THIS IS A RENT CONTROLLED BUILDING. YOUR RENT WILL ONLY BE INCREASED ANNUALLY, AS A MINIMUM, SET BY AUTHORITIES. Sorry, no listings to show here yet.